Yes, it’s a road trip! We are heading up north to Penang to test the performance of the Yes 4G network outside of KL. We will be updating our twitter feed regularly along the way. 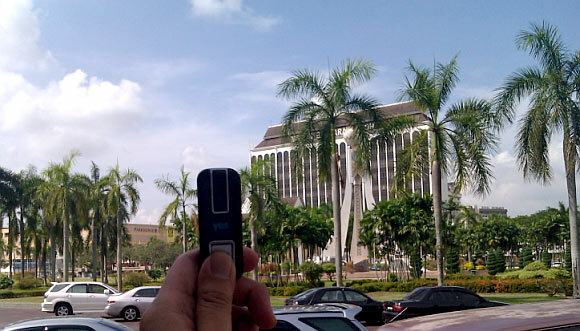 We’ve reached Ipoh and so far we found the coverage along the North-South highway from KL is patchy. We managed to get connectivity, albeit intermittent, up to the 404KM marker of the North-South highway. Where there’s coverage, the speed is generally better compared to 3G operators. Considering that Yes is a new network, we can see from our road test that Yes has better data coverage along the highway compared to the more established 3G networks like U Mobile and in some instances DiGi. Look out for our full report coming soon. For regular updates on our trip to Penang, follow us on twitter at @Soya_Cincau to find out how Yes compares with other 3G operators on the road.